Cover of Mjölk Volume III. Photo by Juli Baker. Working in the sector that we do you often find yourself gravitating towards like-minded people. 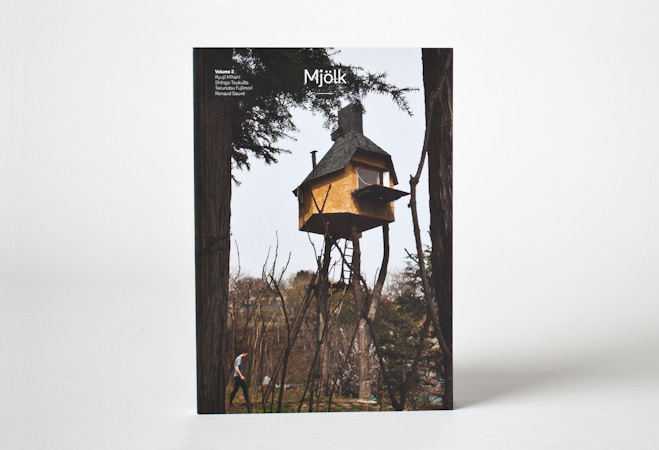 Mjölk in particular have been fellow independents on a similar wavelength, in 2011 we interviewed the husband and wife team, and last year we decided to stock their newest publication at the time, volume II. Now you’ll be pleased to hear that volume III has just been released and has arrived in the shop, so we decided to offer an exclusive glimpse inside the newest issue. This third volume looks at the mysterious world of the Japanese tea ceremony. First John and Juli travel to Kyoto, where they chat with wood artisan Shingo Tsukuda, who specialises in making implements and furniture for the tea ceremony. They then visit painter and wood artisan Ryuiji Mitani, who’s become quite the role model for all young artisans working in Japan today. Striking a perfect balance between art and craft, he’s largely responsible for bringing wood crafts into contemporary Japanese daily life. As well as featuring all these fantastic makers, seeing inside their workshops and understanding more about their creative process, they also spend some time with legendary architect Terunobu Fujimori. We find out his views on the tea room as an architectural form and get a glimpse at some of Terunobu’s architecture, in-particular his magical tree house named Takasugi-an (“Too high tree house”) in Chino, Nagano Prefecture. This is 144 pages of beautiful design and craft, you really can’t go wrong! 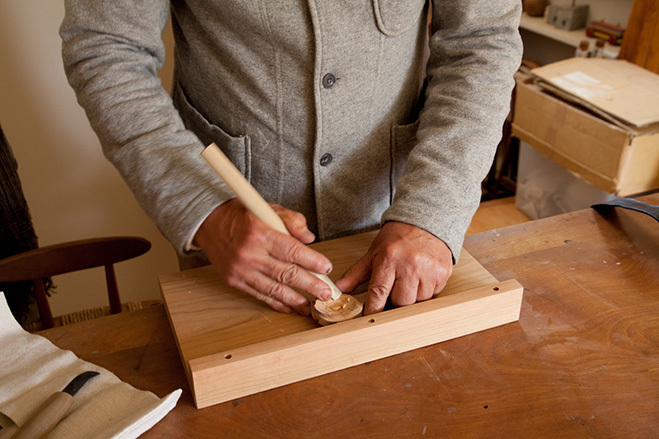 Ryuji Mitani carving the bowl of a spoon at his studio in Matsumoto. Photo by Juli Baker. 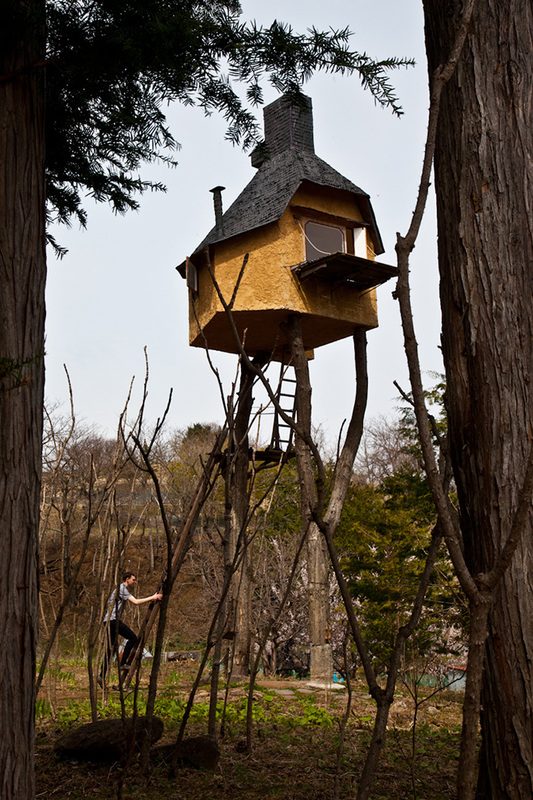 Terunobu Fujimori’s Takasugi-an (“Too high tree house”) in Chino, Nagano Prefecture. Photo by Juli Baker. 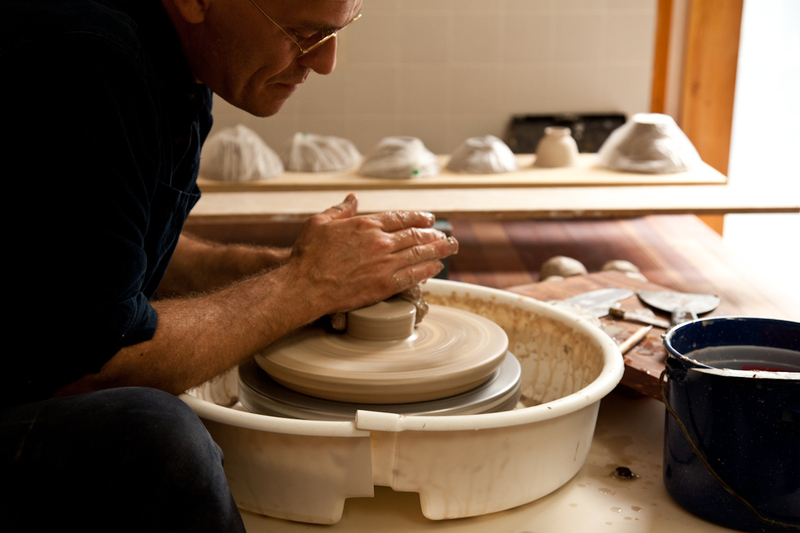 Quebec based potter Renaud Sauve sitting at his potter’s wheel. Photo by Juli Baker. 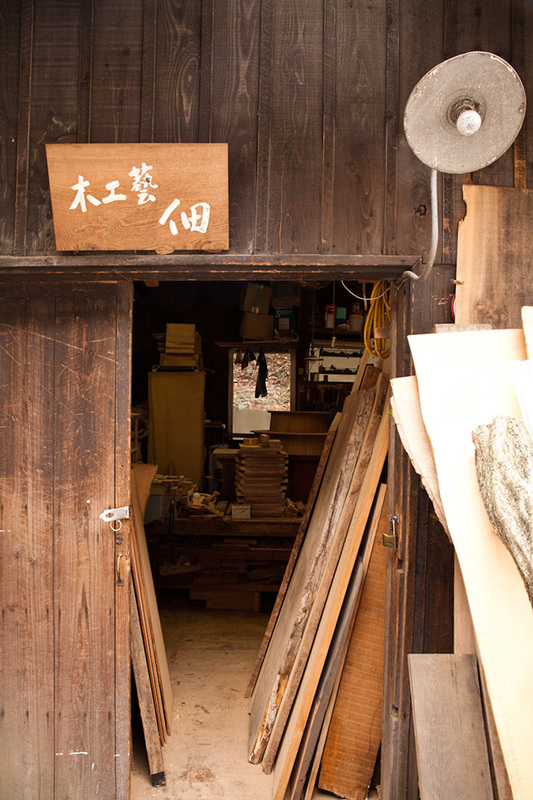 Woodworker Shingo Tsukuda’s workshop in Kyoto. Photo by Juli Baker. 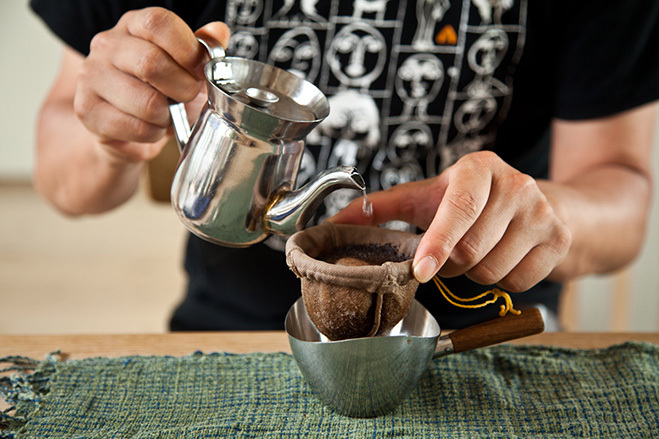 The Japanese Coffee Ceremony performed by coffee master Minoru Oya of Kafe Kosen, Kyoto. Photo by Juli Baker. 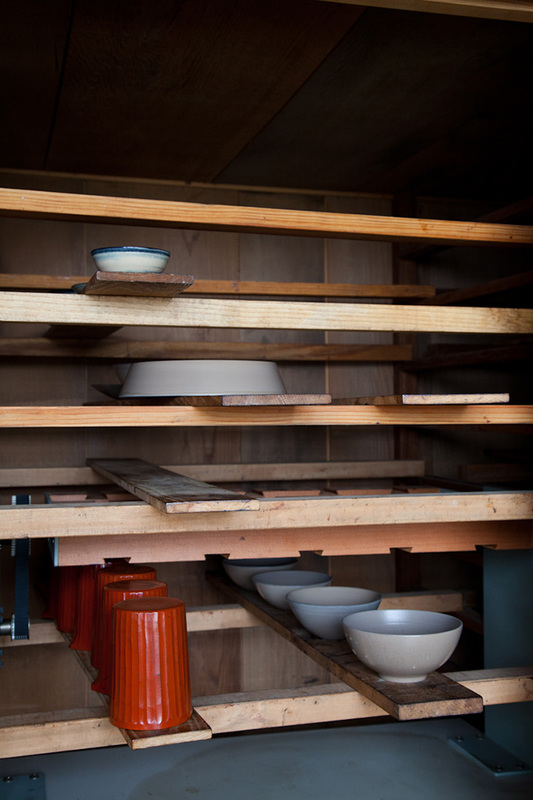 Drying racks for urushi-coated bowls and cups inside Ryuji Mitani’s workshop. Photo by Juli Baker. 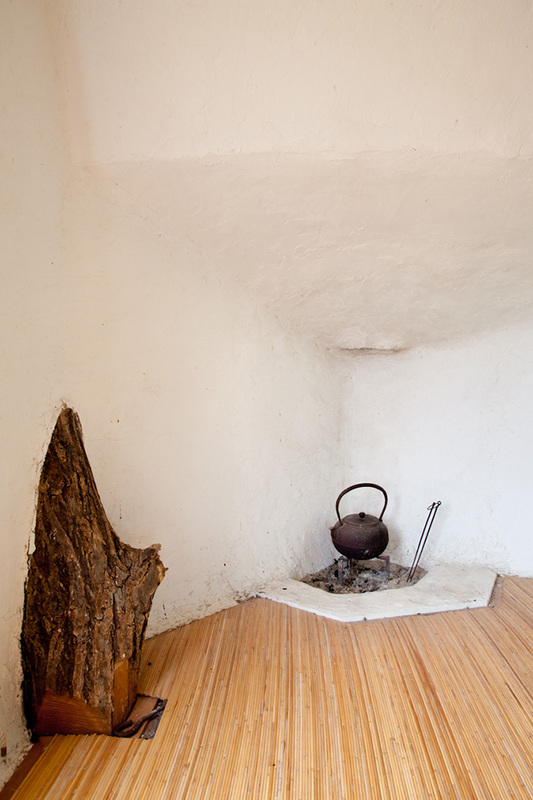 The hearth inside Fujimori’s treehouse, containing a Japanese cast iron kettle and copper chopsticks used to maintain the fire. Photo by Juli Baker. 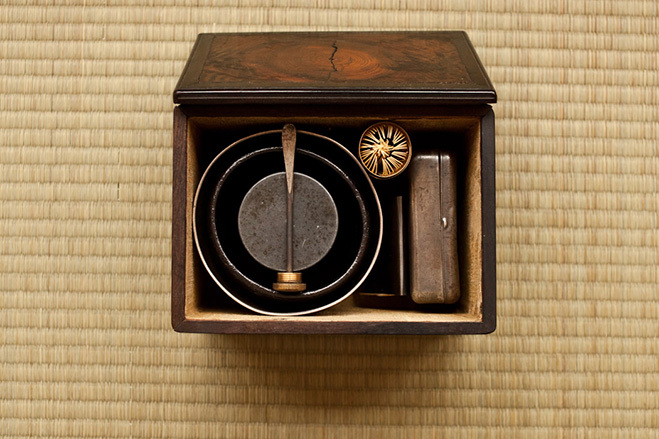 A look inside the travelling tea box of ceramicist Masanobu Ando. Photo by Juli Baker.